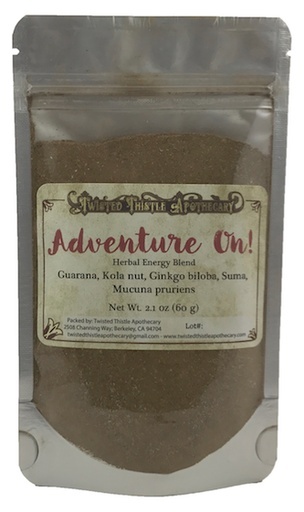 Herbal blend of Guarana, Kola nut, Gingko biloba, Suma and Mucuna. 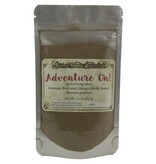 I love this mood lift and energy boost I get from Adventure on! When I go traveling, I encapsulate the powdered herbs to get past the fatigue I get from flying and riding the bus. This blend has changed my morning game completely! I wanted to get away from coffee and this blend helped so much. I feel less of a crash and feel my energy last longer!